A knited fleece great either on it's own or for layering. Provides fantastic warmth and breathability on and off the water. Read more..
Maindeck's Knitted Fleece has a relaxed fit and is ideal for a pleasant day on deck. 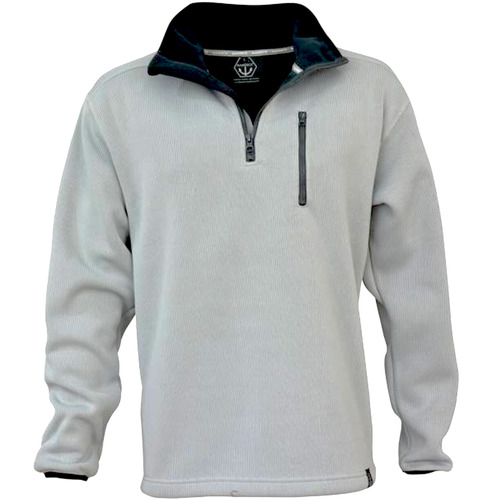 The fleece features a soft knitted outer, lined with a warming anti pill material, making it highly breathable. A stand up zipped collar helps keep the wind away from your face, low bulk cuffs and flat locked stitching also feature on the fleece.